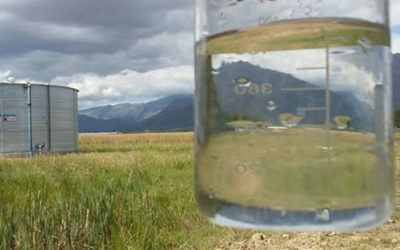 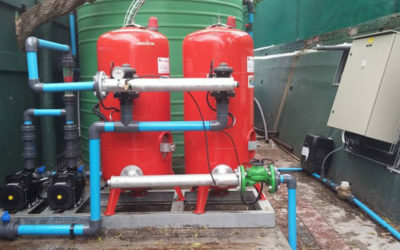 A2V in joint venture with Conns Water and Sopura, designed and installed a water treatment system to remove iron and manganese from borehole water using a catalytic filter media called DMI-65. 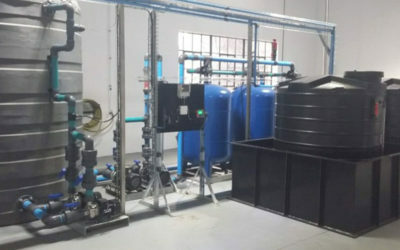 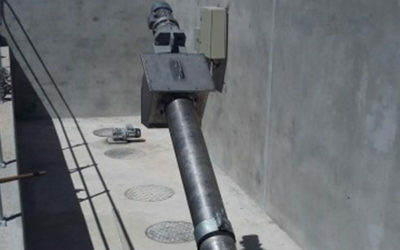 The plant is design to treat 25m3/hr using Chlorine dioxide as an oxidant and disinfectant to minimize the risk of chlorine byproduct formation. 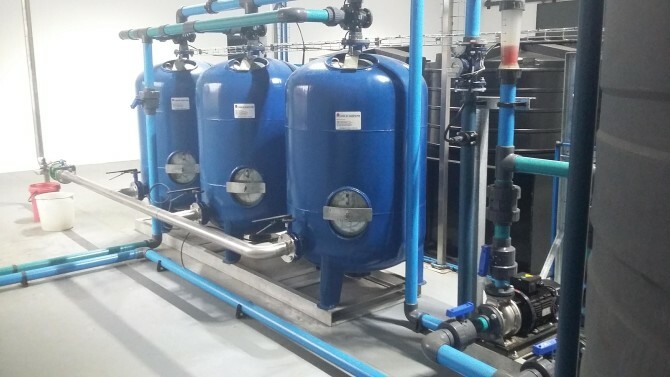 A pH adjustment is also included in the process to improve the removal efficiency and stabilize the water to prevent corrosion downstream. 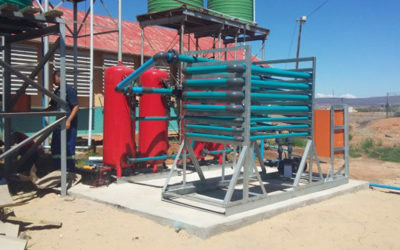 This was a fast track project during the water crisis in 2017 and was commissioned within 4 weeks from confirmation of order.